Red Beans originally came from the south of Mexico, the U.S. and China then spread to Indonesia, Malaysia, the Caribbean, East and West Africa. Seeds of red beans are a source of carbohydrates and high in protein, 100 grams each, there are about 22.3. There are also minerals and vitamins which include Vit.A, B1, B2, and niacin. Dng fiber content equivalent of green beans and much higher when compared to rice, corn, sorghum or wheat. Another advantage of the red bean protein, cholesterol free him, even if consumed regularly can lower levels of bad LDL cholesterol in the blood. Just keep in mind, not in the consumption of red beans raw. Nutrients such as phosphorus are in the form of a hard filat acid digested by the body. So make sure before the consumption of red beans cooked first. Tasty red beans in consumption as boiled peanuts, red bean ice is made, entered in tamarind and vegetable soup, mixed salad, and a sauce made fries. My mother used red beans in a mixture rendang. the nutrients contained in them is also very high. Dried red beans are a source of vegetable protein, complex carbohydrates, fiber, vitamin B, folasin, thiamine, calcium, phosphorus, and iron. Folasin are essential nutrients that can reduce the risk of damage to the blood vessels. Besides before we started planting we must pay attention to the red bean-laden full growth, just as the first climate, iklm generally suitable for growing red kacng climate is wet to a dry climate with an average rainfall 1500-2000 mn / year, humidity serata air needed kuranglebih 55% (moderate). The second is the type of planting medium that is suitable for growing red beans are andosol and regosol because it has four rainase good. Moreover loose soil structure, crumb, fertile and contain pH levels ranging between 5.5 to 6.8. Planting at the air-medium pH < 5.5 aan are stunted due to the low pH yag trejadi impaired absorption of nutrients. The third altitude somewhere also affect plant growth. Red bean crop is generally planted at an altitude of 1000-1500 m above sea level. But scientists have been researching the kind of red bean planting tall lowland with an altitude of 200-300m above sea level and the results are satisfactory. Somewhere altitude will affect the humidity. Watering also affect growth. If soil terlalukering, the plant will wilt and then die dam. And vice versa if the soil is too wet then the plants will londot or membusuk.siramlah plants every morning and evening except during the rain. Besides light intensity also affect growth. 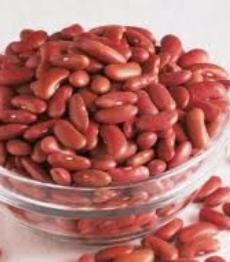 Generally, red beans require sunlight feetcandles ranging between 400-800. To obtain maximum results, tanamanlah red beans on an open media, such as in gardens, fields, or fields. Do not plant red kacanh media have shade, such as in the Green House. Merha bean plant growth would be better if fertilization participate considered. Plants require nutrients in plant metabolic processes, especially during vegetative. It is also used to encourage the growth of new cells in the formation of leaves, roots, stems, and in the establishment of legumes (beans). Fertilization may influence the root volume. The greater the volume range of plant roots also get wider, making it easier to get the nutrients it needs. To improve soil fertility to do with manure or compost as much as 15-20 kg/10 m2. The red bean farmers should be prepared in the presence of plant pests that will attack plants such as leaf beetles, borers leaf, bean fly, caterpillars artificial span and leaf roller caterpillars. For pest control can be done by (1) throw away or burn the parts that have been affected, (2) organic pesticide spraying (with a mixture of garlic, cayenne pepper, neem leaves or seeds, tomato leaf, pepper, bitter). Spray until the plants are free of pests. To achieve satisfactory results in accordance laden plant red bean red bean-filled growth that exist. Given the red beans contains high nutrition, the authors hope the younger generation can take advantage of nutrients contained in the red beans so as to enhance the intellectual and human resources.